Chill a large martini glass. 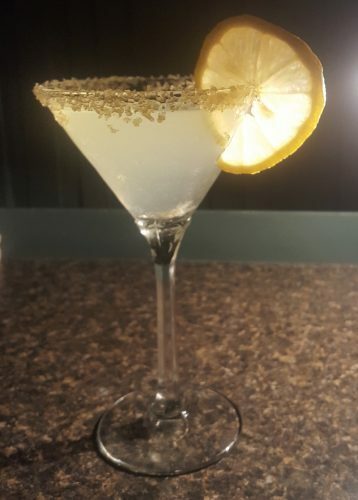 Wet the rim with a lemon wedge and dip in sugar. Lightly shake and pour in chilled glass. dissolving sugar in hot water).